Jeremy Ockrim is Honorary Lecturer at University College London (UCL) and Consultant Urological Surgeon in Female and Reconstructive Surgery at University College London Hospital (UCLH). Mr Ockrim trained in Glasgow before moving to Imperial College, London to complete his postgraduate thesis in 1999. He has an Honours Degree in Immunology; and his MD thesis on the utility of oestrogens in prostate cancer. His fellowship was undertaken at the Royal Melbourne Hospital, Australia. Mr Ockrim trained in the Institute of Urology, UCLH and was appointed to his consultant post in 2008. UCLH offers tertiary expertise in Reconstructive Urology to Urologists and Urogynaecologists nationwide. 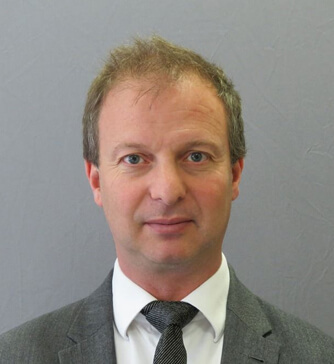 He continues his academic and teaching links at UCL, and has written extensively on lower urinary tract dysfunction, male and female incontinence, detrusor overactivity, fistulae, diverticula and tape surgery and reconstructive (Mitrofanoff) surgery. Mr Ockrim specialises in the treatment of bladder and prostate dysfunctio, male and female incontinence and prolapse including colposuspension, TVT/TOT, complications of mesh implants, male sling, aritificial urinary sphincter implantation, urinary fistulae and divertiula surgery, bladder augmentation/replacement and both continent and incontinent urinary diversion. He has particular interest in managing post prostatectomy incontinence in males, and bladder overactivity/pain syndromes. He is the clinical lead for the post prostatectomy incontinence study (MASTER study) at UCLH, and comparison of sacral nerve neuromodulation versus Botox at UCLH. He is one of the first providers of sling surgery for male incontinence, and sacral nerve stimulation to manage urgency, incontinence and pain syndromes in the United Kingdom. He is also part of the London Urology Specialists.